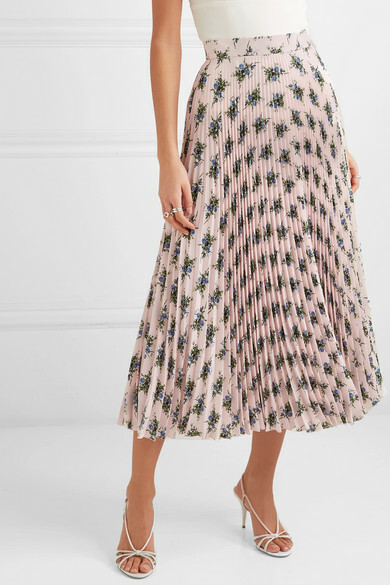 Emilia Wickstead's Resort '19 collection is inspired by Provençal French films from the '60s. 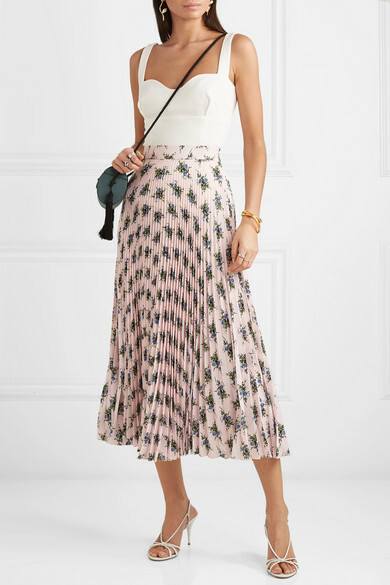 Cut from fluid pink crepe de chine, this skirt is patterned all-over with dainty, upholstery-inspired blooms and pleated for movement. 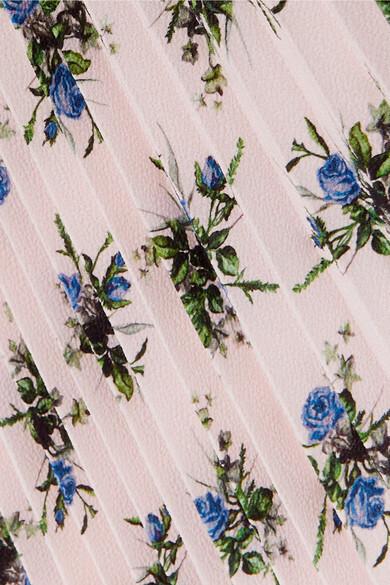 Wear yours to a wedding or summer garden party with the label's 'Madeleine' top. Shown here with: Hunting Season Shoulder bag, Prada Sandals, Beaufille Earrings, Sophie Buhai Cuff, Alighieri Bangle, Sophie Buhai Ring, Jennifer Fisher Ring.